Manage your security preferences from a console that performs like a software solution - not like a website. 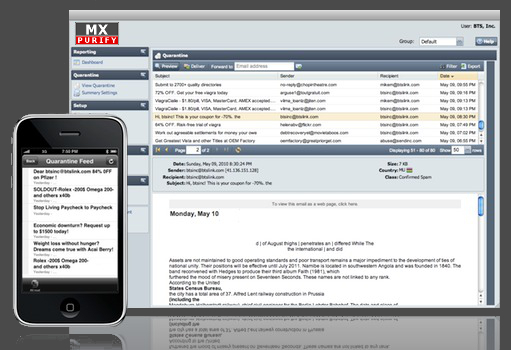 MXPurify is a new generation of cloud-based email security. It’s easier, faster, more accurate, and more flexible. And with our 100% Uptime Network, there's no safer solution. Find out why more businesses are switching to MXPurify. Ready to try MXPurify™? Sign up for a full-featured 30-day free trial.